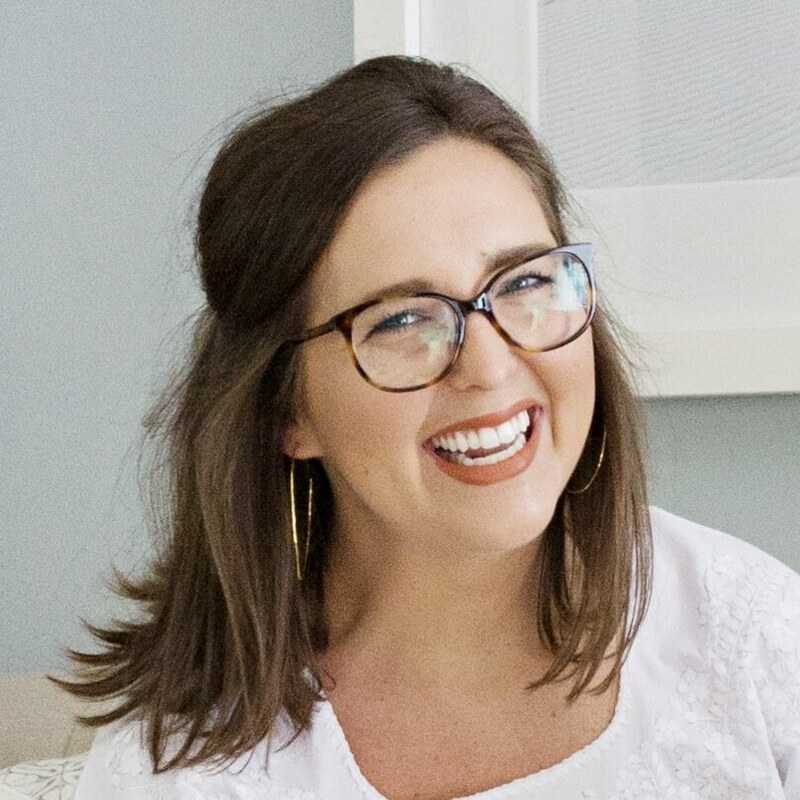 Annie is StyleBlueprint Nashville's lead writer and associate editor. When she isn't scoping out Nashville's newest hangs, you can find her spinning at her favorite fitness studio or eating queso at her neighborhood Mexican spot. Delighted by its charming historic feel and luscious garden surrounding, Marcelle Guilbeau’s client chose this Belle Meade home as her family’s first in Nashville. And while it was perfect for the previous owners, it needed to be totally transformed to channel the passions, dreams and lifestyle of its new occupants. Enter, Marcelle. “I am known as the ‘soul style whisperer.’ I am known as the eclectic who can help people create their own thing, their own special home. It’s gotta be something that is meant for you … that speaks to your heart and soul,” Marcelle tells us. Her experience with this client was certainly driven by soul and purpose. The client, a fellow creative, came to her with a vision and bold ideas, and she chose Marcelle and her team to help bring it all to life in a cohesive way. She wanted a happy home – bright and light, filled with lots of color. “A little bit mid-century modern and a little bit eclectic and a little bit Hollywood glam,” the designer explains. Marcelle’s approach to design strives for balance. “You make one big move in every single room, and then you stop. Then, you accent it.” Each room of this glam home has one bold, central move and many layers on top. Of course, when working with a creative, Marcelle notes that sometimes those layers come first. After: Marcelle updated the space with white paint, a mid-century modern light fixture and an elegant grey and gold Greek key pattern on the stairs. After: “The Club Room” (not so dark anymore!) is anchored by the fabulous Milo Baughman chairs that the client found on 1stdibs. After: It’s amazing what a coat of paint can do! The biggest, most transformative move in the entire project was on the walls. Marcelle sat down with her client and paint box, and showed her the white paint color she had in mind for the walls. “Whiter!” the client told her. So, they chose a new Sherwin Williams color, High Reflective White. It is ultra-reflective and almost electric. “It has a little sizzle in it,” laughs Marcelle. That one change transformed the home from dark to light. The light bounces, and you can see what a difference it makes in the before and after photos. The paint color made an especially dramatic difference in the “club room” as it was deemed by the client. Located in the center of the home, this room was once a formal dining room. A more casual entertainer, the client wanted a room to play games when they have parties and where people could come and hang. It’s also meant to be a serene study spot for her two teenaged children. The chairs around the table, a vintage find by the owner, were the bold move in the club room, covered with the perfect indigo velvet fabric by Marcelle and her team. On the other side of the club room, a couple of swanky wing chairs and a gorgeous mirror-glass side table flank either side of the fireplace. Marcelle completely transformed the space from a formal dining room to a room with a function far more useful and comfortable for the client. The client wanted to give the kitchen a facelift (and did they ever!) without totally gutting and redoing it. One of the more challenging aspects of the project was identifying the blue the client had in mind. “I had never done peacock blue before. It’s always terrifying when you make a leap like that, but it was absolutely the client’s ‘happy blue,'” says Marcelle. Incorporating elements that are reflective of the client are always indicative of Marcelle’s work — hence, her “soul style” process. The result is fantastic. They added the white floating shelves and white subway tile to the ceiling on either side of the sink to give visual relief from the former wall of cabinets. “If you don’t give visual relief, the bold moves cannot sing.” They swapped the sink to a white farm sink and opted for satin brass pulls to update the space a bit. After: This space was the most terrifying for Marcelle during the design process, but she could not be more excited with the result. After: Updated and fresh, this nook is perfect for a morning cup of coffee. The peacock blue was the kitchen’s bold move, so the other details were quieter, allowing the color to make its statement! The pool house was one of the client’s main priorities. A lover of entertaining, she wanted to create a space that would bring people from all over into her home in Nashville. Additionally, she knew her parents might one day need a transitional place, and she wanted the pool house to be a haven for them – one they could both enjoy and use safely. The bathroom transformed into a wet room, per recommendation of their talented contractor, Craig Huseby with Huseby Homes. This unique design opened up more space and also eliminated any risky areas for those who aren’t as mobile. It has an old Hollywood hotel feel with its console sink and black ceiling. The bathroom ties into the living area with its high-contrast patterned tile. The client came to Marcelle with the black and white tile in mind. “It was just starting to trend,” Marcelle tells us. “And it’s actually my favorite part of the home because of the way it makes the space.” Another statement-making layer sits beneath the windows in the pool house. The canary yellow console is a piece the owner found in her 20s when decorating one of her first homes. That yellow, Marcelle explains, is the client’s happy color, and it’s been that way likely since before she found the console. That color made its way into other parts of the home, too. The pool house’s daybeds were custom-made for the client. As someone who loves to entertain al fresco, the fair-skinned party-thrower needed somewhere to comfortably escape the sun. After: The sunny yellow console was one of the client’s first favorite vintage finds. After: Now accessible for the client’s parents, the wet room is both more functional and more fun with its old Hollywood feel. The client’s tile choice made this space one of Marcelle’s favorite designs in the home. The client’s happy color appeared outside, too, on the chairs she had also had for many years! In the client’s home office or her version of a “man cave,” sits a bright canary yellow sofa. “I always say pick timeless and classic colors for your main pieces, but she is a sensual type. Those are the people who will pick a crazy bold primary color because it’s their happy color, and it’s been that way since they were 20,” Marcelle says. “It’s funny,” she laughs. “We went about this one reversed.” They had been trying to select a yellow fabric for the sofa with the client for some time, and she had not yet landed on the shade that felt just right. Simultaneously, they were browsing options for a patterned rug for that room when the client happened upon one that was absolutely perfect. When the rug arrived, Marcelle’s senior designer, Patti Lynn, took the fabric samples over to the client. Finally, the perfect yellow fabric was evident to the client and to Patti Lynn, and they were able to select and order the fabric that now covers her sofa. In this space, the layers came first. After: This bright and bold room is the client’s creative space – filled with the colors and things that make her smile. All photography by Gieves Anderson. For more beautiful homes, click HERE!